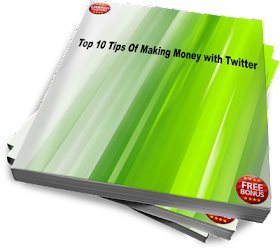 Not sure how to make money by writing articles online? In this article, you will not only learn how to get started, you will also learn 1 tip on how to make more money as a writer. The best way to get started is to become a freelance writer. The fact is, it is extremely easy to get started. Just join any of the top freelance websites and you will be able to get started within minutes. All you need is to register for an account. Registration is usually free, depending on which site you join. Some of the more popular ones are eLance, RentaCoder, oDesk and GetaFreeLancer. After joining, you can start bidding for your first writing assignment. Next, you will learn 1 tip on how to make more money as a writer. First, you need to understand that as a freelance writer, the more assignments you can complete, the more money you will earn. Thus, one way to make more money is to increase your productivity. Most writers, especially new comers suffer from writer's block. I will share with you 2 ways to overcome it. It is easy. Just keep on writing. People suffer from writer's block because they just couldn't get anything down on paper. Another reason is because they worried too much about sentence structure, grammatical errors and spelling mistakes. I am not saying that those 3 things are not important. However, you can always go and fix them later after you have completed your articles. So, just keep on writing without worrying about those 3 things. You will be surprised how much faster you can write. As the name suggest, a speech recognition software will be able to recognize your voice and translate it into an article. If you have problems writing an article, you can always speak out your thoughts. Speaking is much faster than writing. Thus, an article that usually take you an hour to write can now be written in 20 minutes. With that extra 40 minutes, don't you think you can complete more writing assignments and earn more money? Mr Yin you are overly generous with good ideas on how one can sustain oneself.Thank you very much for the care and concern you have been offering. Please Mr Yin I have a manuscript needed to reviewed and published, I contacted about two publishers but it all ended with financial commitment of which I'm not in better position to pay. Please advise and assist on how to about doing it. Aibu, congratulations on completing the manuscript for publication! Few people would achieve this phase as most people would have given up half way through the writing journey! How to get it published is the next critical step. There are indeed often financial hurdles to overcome before you can get a manuscript published by traditional publishers. If I were in a similar situation like yours, I would probably explore publishing electronically online by myself. Convert the manuscript into a PDF file, and then you have an e-book ready for sale online straight away. You can want to consider some SEO to get your website listed in Google page 1 on targeted keywords search. 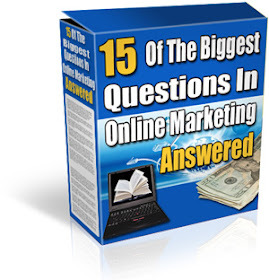 Please refer to my blog posts on this topic to get plenty of traffic into your e-book site. Come and see how 1,000's of people like YOU are making a LIVING by staying home and are living their dreams TODAY.